Abi is a registered Veterinary Surgeon. She always wanted to be a vet after watching too much animal hospital. 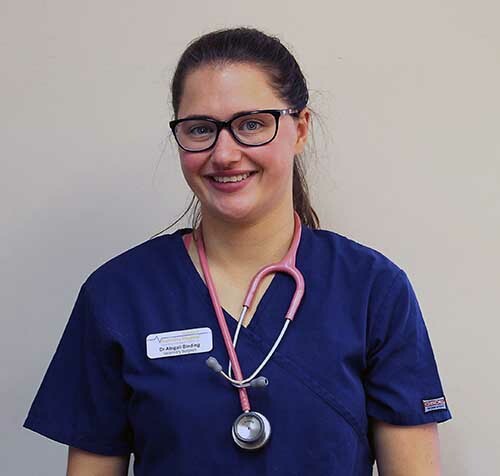 Abi graduated from Bristol University in 2017 and spent a year working in Wales before coming to work at Quantock Veterinary Hospital. She said she “fell in love with Somerset and stayed” having moved here after graduation. She now lives with her husband and her “very spoilt hamster” Hammy. For the moment Abi most enjoys surgery and the “small fluffies”. She plans to work for a specialist certificate in a few years time.When Abi is not working she enjoys gardening, baking and cycling.